Ensure every educator is engaged in the right work with a collective focus on improved student learning. Aligned to the Professional Learning Communities (PLC) at Work® model, this resource includes instructional coaching tools, processes, protocols, templates, tips, and strategies designed to support the multidimensional work of instructional coaches and PLC training. 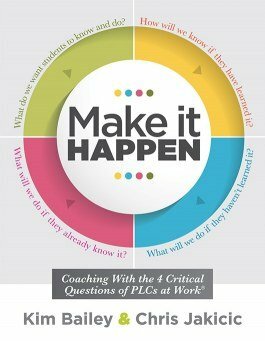 Each chapter includes action steps and reflective coaching activities, as well as suggestions for navigating some of the most common issues instructional coaches face.